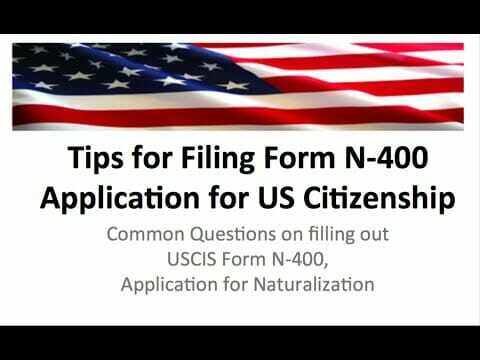 Home / Archive by category "n-400"
Form N-400 (officially called the “Application for Naturalization”) is a government form used by green card holders who are ready to apply for U.S. citizenship after meeting certain eligibility requirements. Filing this form with U.S. Citizenship and Immigration Services (USCIS), which is part of the U.S. Department of Homeland Security (DHS), is the first step of “naturalization” the process of becoming an American Citizen. Q: Who can file Form N-400? A: Only individuals who have satisfied the eligibility requirements for naturalization may file an N-400. Can I Apply for a Green Card on a TN Visa? Can I Convert my TN Visa to a Green Card? The information contained on this website is intended to introduce prospective clients to Prizant Law, and is not to be considered a legal opinion or an offer to represent you. This web site is not intended to establish an attorney-client relationship. Emails sent to Prizant Law using any of their email addresses would not be confidential and would not create an attorney-client relationship.